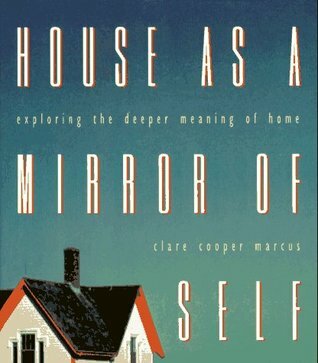 I quite loved Clare Cooper-Marcus’s book House as a Mirror of Self. I loved the uniqueness of its approach; its fearlessness in connecting the material, the social, the psychological and the spiritual; and the very real insights it develops around the intertwining of our sense of self and our sense of place. Using Jungian therapy is such an interesting methodology for exploring our connections to place, how this is formed in our childhood and how this plays out through our lives. It is a way to get more to the centre of what place really means to us as human beings. In this aspect of the book, it is reminiscent of Bachelard’s work on The Poetics of Space, particularly as Bachelard also attempts it from within a Jungian framework. It helps that Jung built his own house and tied it so explicitly in his work to his own psychological development. I can’t believe I haven’t read it yet. it is trying to get at the same thing Yi-Fu Tuan writes about from the anthropological side of things, which also makes me slightly uncomfortable, though just as interesting. Anyway, like all good psychoanalysts, Clare Cooper-marcus begins at the beginning. So back to the book. Cooper-Marcus qualified as a therapist, worked with people to examine their living spaces as a way of examining their lives. For this reason it was a self-selected group of the middle-class edging upwards — I realise I have no real sense of where middle- and upper-class meet. For so long I thought anyone was rich who had a car they could depend on or pop-tarts for breakfast. Some of the people she interviewed challenged my more mature understandings of middle-classness and sent it skyrocketing upwards. But she is honest and open about this, as well as the ways in which she met people at conferences and through presentations, the nature of her snowball sample in primarily the Oakland Hills, and the limitations of all of that. Cooper-Marcus notes that our desire to have control over our home spaces are more significant when we don’t have control over other aspects of our lives. Hell of true. Also coming out so strongly through these interviews — almost makes me sorry for rich people — was the gendered differences in how people experience place and how they are limited or freed by it. Cooper-Marcus notes the studies that show the ways in which women are much more affected by the location of the home than men — particularly access to services, This is particularly visible in studies of suburbs where distance separates home from services and services from each other. I wonder how much this is shifting, and how this is working with other factors such as the return to city centres and resulting gentrification I wonder all of this in relation to suburban people, mostly white people, this is not a book that examines the kind of neighbourhoods I have long worked in, care most about, at all. But it certainly points towards a very interesting and rewarding way of looking at such neighbourhoods, building on work done by Mindy Fullilove and others. This is an identity bound up in whether we prefer, and how we feel while we are in, the city, the suburbs etc… This tends to form in our childhood — whose setting often becomes our ideal, though if a childhood is unhappy people will often chose a contrasting setting. This isn’t a simple thing, but important to understand as taste in home and neighbourhood can be ‘significant indicators of group identity’, particularly socioeconomic identity. The crux of why this matters.